Hungry for a snack or more? We have plenty of options for those who want to recharge their batteries and have something nice to eat and drink. 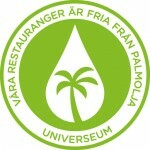 Also all food at Universeum is 100 % palm oil free! Roberta’s restaurant is on level 1. Alongside all the tasty items on the menu, there is always a dish of the day. At weekends and during the summer you can also enjoy a nicely prepared taco buffet half a staicase up. Mon–fri 11 a.m.–4 p.m. The kitchen closes at 3:30 p.m.
Sat–sun 11 a.m.–5 p.m. The kitchen closes at 4:30 p.m.
Taco buffet sat–sun 11 a.m.–3 p.m. 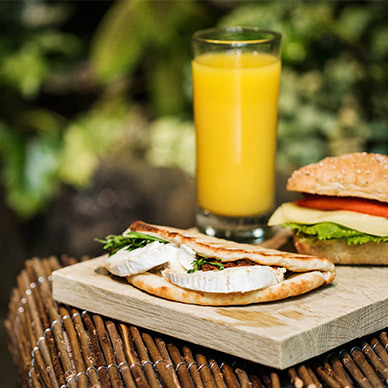 The 100 % vegetarian Café Tukan is alongside the rainforest wall on level 1. It offers freshly squeezed fruit juices and a wide range of teas and coffees. Pastries, tasty salads and hearty sandwiches are freshly prepared each day. 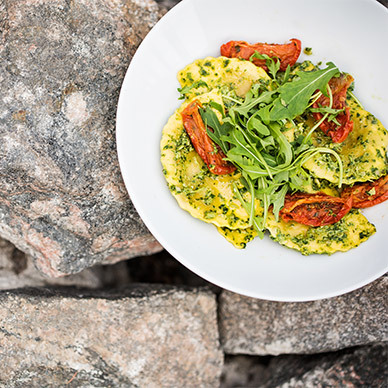 Our menus clearly detail their content, which makes things easier for people who are allergic or who want a special diet. If tou have questions, please ask our staff. 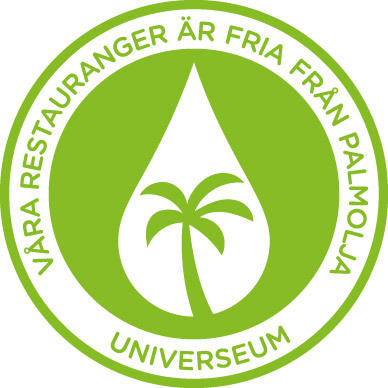 If you want to bring your own food to Universeum the 2nd floor has tables and chairs where you can enjoy your picnic overlooking the tropical forest.